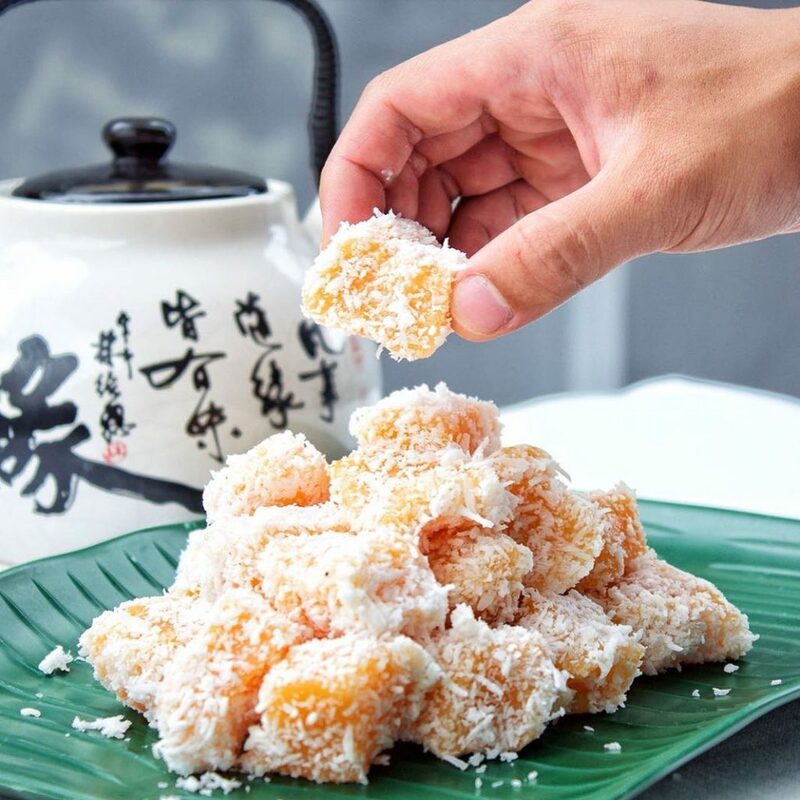 There’s no denying Singaporeans love for Nyonya kuehs. 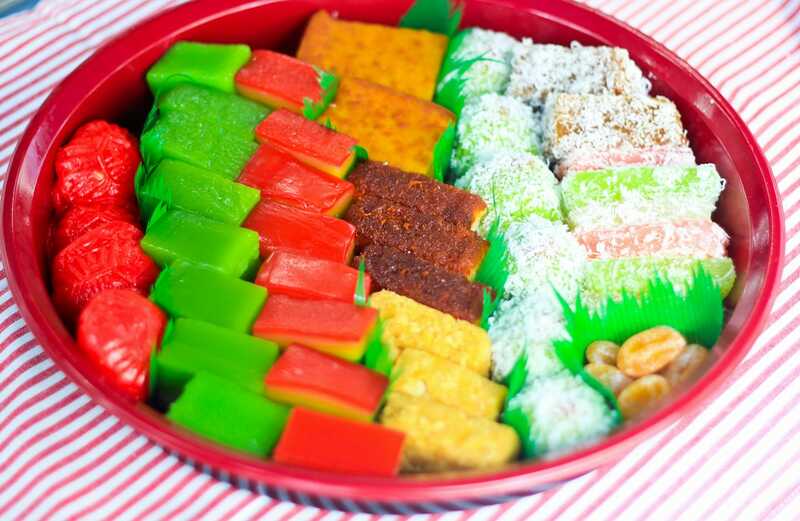 These eye-catching treats, from the bright red Ang Ku Kueh to the original rainbow steamed lapis, make regular appearances during breakfasts, tea time and, of course, celebrations since young. Finding a good one, however, is no easy task. But we’ve done the hard work for you. Here are 10 bakeries, cafes and online shops to check out for when the craving strikes. You will never know what you’ll be bringing home from Tiong Bahru Galicier Pastry Bakery, but that’s a good thing. 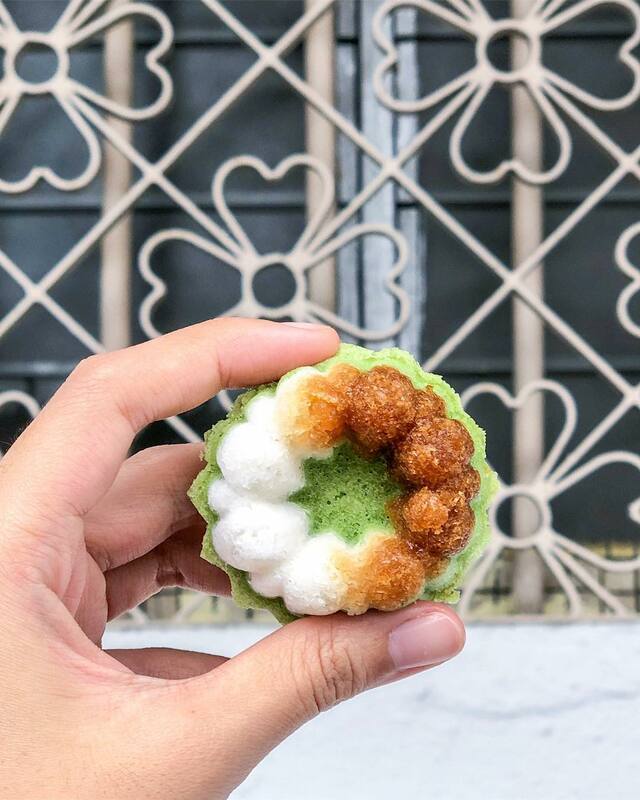 Chef-owner Tan Yong Siang and his wife Jenny Soh have been doling out old-school cakes, tarts, cookies and, of course, kueh since the 1980s. They have over 100 different treats. But since everything is handmade, only a selection is available at any given time. Tan, who has over 50 years of experience, refined recipes passed down from his Peranakan grandmother. 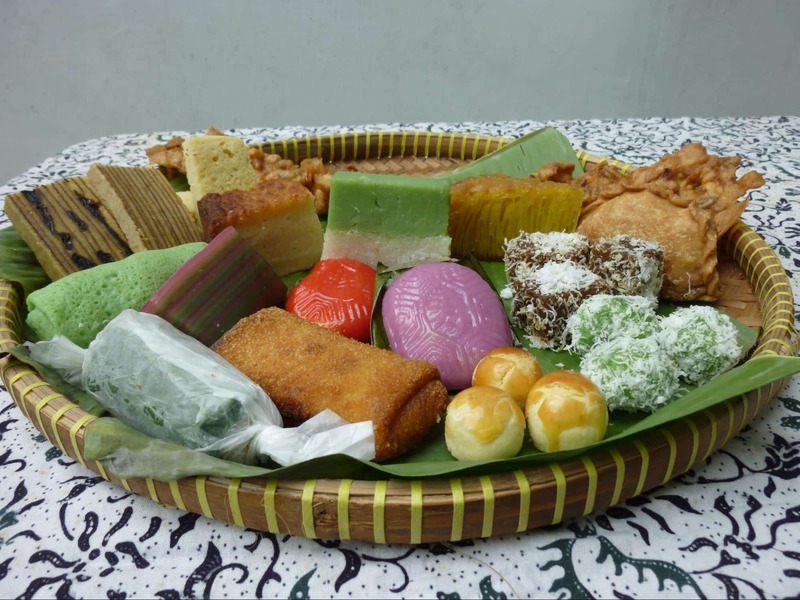 Get a glimpse of his childhood in colourful treats, such as the Kueh Dar-dar ($0.80), Keuh Kosui ($0.70), Sweet Potato Ondeh Ondeh ($0.60) and Sweet Potato Huat Kueh ($1). The latter is a fluffy afternoon tea snack that’s teeming with mashed sweet potatoes. Hint: The bright yellow sign is hard to miss, but chances are, it’s the wafting aroma of fresh coconut that’ll lead you here. What started out as a small home-based operation has become one of Singapore’s institution for nyonya kueh. Lek Lim Nyonya Cake Confectionery started in 1968 delivering kueh straight to homes, before finally opening shop in 1979. It remains at the same location today, with third-generation owner Gavin Sing at the helm. They’re known for their Ang Ku Kueh ($0.65), with its thin, chewy skin, and fragrant green paste filling. 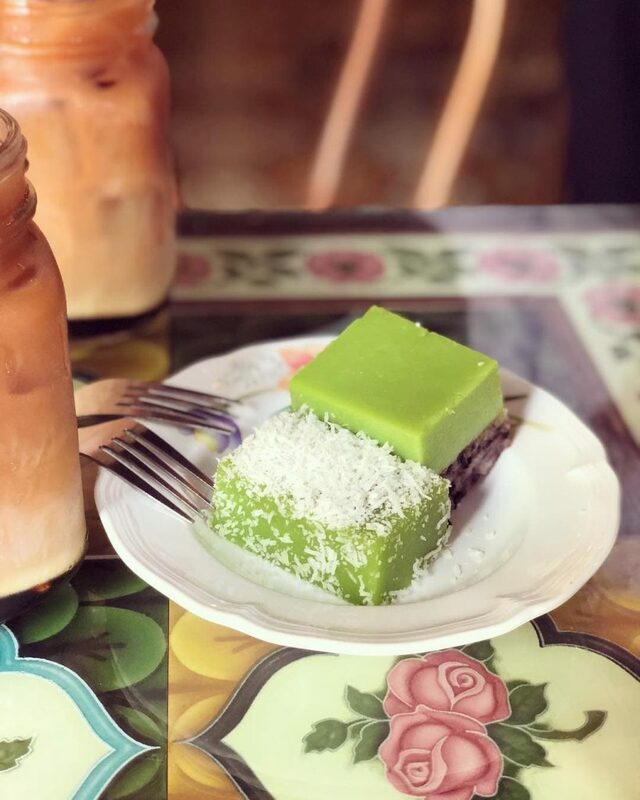 Other items to try include their Ubi Kayu ($0.75), a steamed tapioca cake, as well as the Kotoh Ubi ($0.75), where mashed tapioca is soaked generously in gula Melaka. Going to Molly’s Nyonya Kueh feels like you’ve just entered grandma’s home. 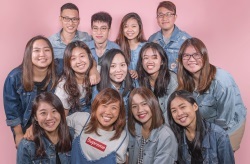 The staff are friendly – be it the husband-and-wife duo that opened the store back in 1983 or their children that now run it – and are ever-ready to take you through the myriad selection of kueh, bao, and rice dumplings. 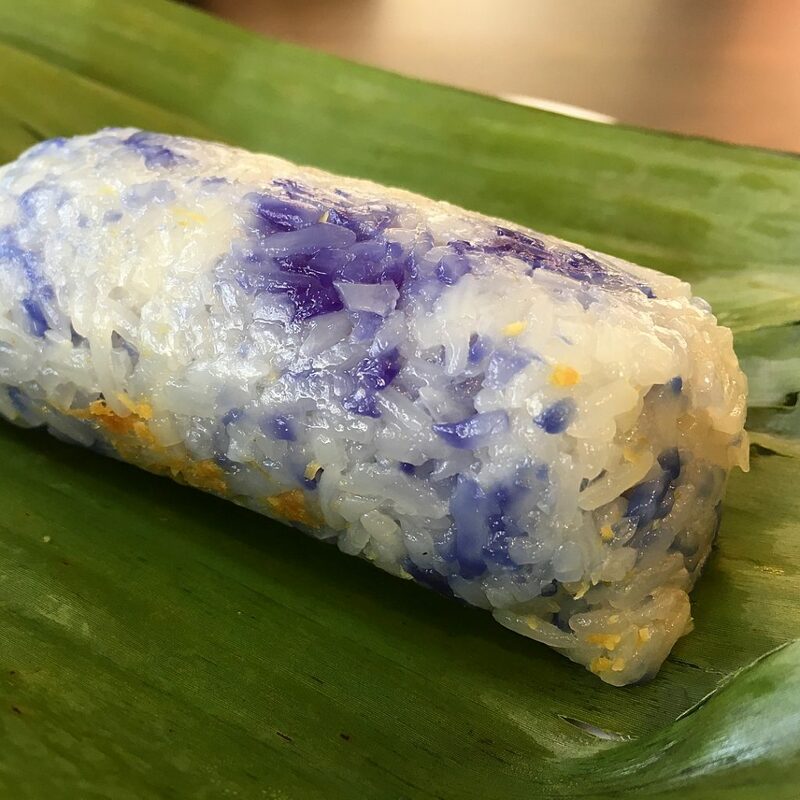 The usual suspects aside, it’s one of the few places that do a mean Lemper Udang ($1.30) – a glutinous rice roll that’s stuffed with dried shrimps. Sweet yet salty with a hint of spice, it is a match made in Nyonya heaven with their other speciality, the Spicy Fish Otah ($0.60). Those with a sweet tooth must try the beautiful Pulut Inti ($0.70). If you have space for only one thing at Borobudur Snacks Shop, make it their Ang Ku Kueh ($0.70). 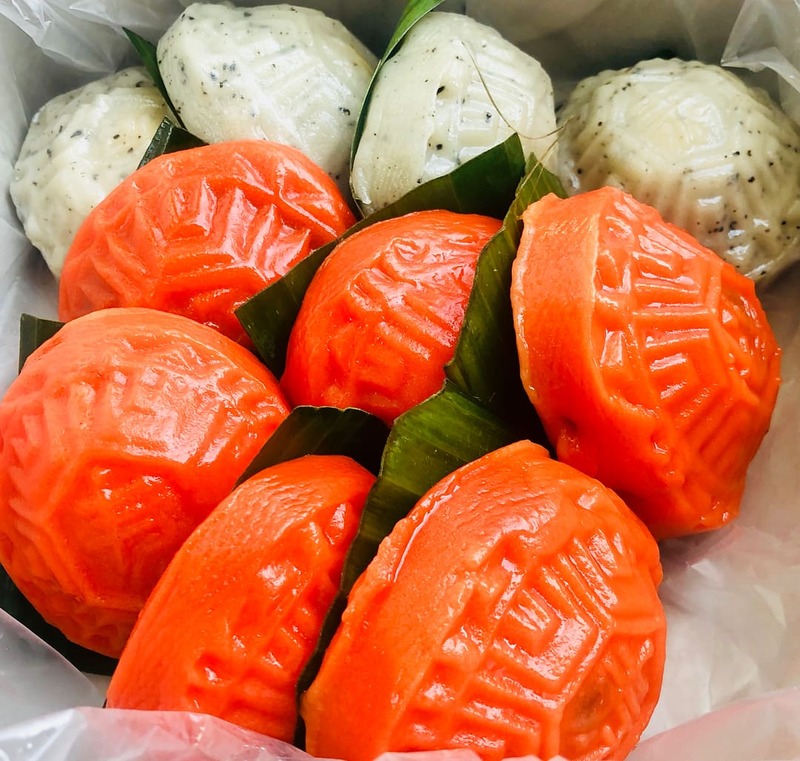 Coming in a variety of flavours including salted mung bean and yam, they’ve garnered a loyal following thanks to the kueh’s thin skin and ample filling. 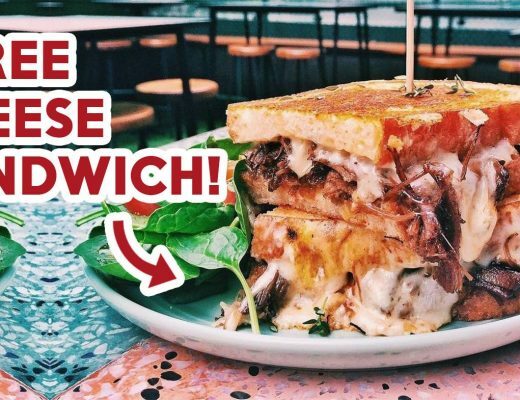 Some say theirs is the thickest ang ku kueh in Singapore. They also sell Ondeh Ondeh, Kueh Lapis and a melt-in-your-mouth Durian Ambon. Besides standard offerings of green bean and peanut, Kueh Garden offers a colourful selection of Ang Ku Kuehs in 11 flavours ($0.90). Unique flavours include coffee, green tea and durian. Each feature a mochi-like texture that’s so addictive, you may very well devour an entire a platter. Owners Liu Fang Xi and Freddie Chen are new contenders to the scene. The former engineers cut their teeth at Lim Lam Hong confectionery in Jalan Bukit Merah, before opening this store in December 2016. Check out the savoury Golden Jade Kueh ($1). The shop’s own creation, sweet potato skin wraps around a fragrant filling of stir-fried yam. Address: Block 348 Jurong East Avenue 1, #01-1245, Singapore 600348. You’ll have to come early if you want a taste of Lina Confectionery’s kueh. They have only one display case, and they will call it a day once everything is sold out. Highlights include their kueh salat ($1), yam-flavoured ang ku kueh ($0.90) and the steam lapis ($1). The latter features a whooping 18 layers and takes a total of four hours to prepare. Complimenting these sweet treats is a succinct selection of fried snacks. Most come by for her Resoles ($1.30), an Indonesian take on rissole. Previously, MRS KUEH’s Kueh Salat could only be enjoyed at the swanky Clan Café. Thankfully, chef Maureen Nguee has decided to open this e-commerce shop. Dessert fiends can now get their hands on it without travelling down! Maureen painstakingly makes each cake herself, hence the advance order of four days. 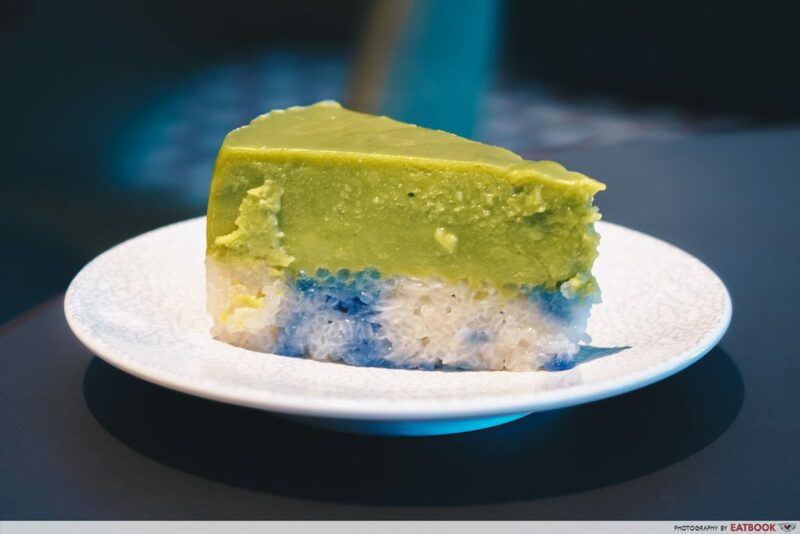 Fresh pandan juice and coconut milk are used to create a thick kaya custard, in lieu of the standard pandan layer, adding a luscious touch to the hand-stained butterfly pea-dyed glutinous rice. It’s only available in two sizes: a seven-inch round ($56) or an eight-inch square ($72). Makko Teck Neo is named after Madam Peck Teck Neo, the lovely Peranakan auntie who is often found behind the counter of this family-run cafe. When Madam Peck opened shop in 2008, she already had a loyal following of customers for her pineapple tarts, which she sold during Chinese New Year since the 1980s. Her repertoire grew to include dry mee siam and nasi lemak, which used to fuel employees of Zouk. Now, her delectable menu of savouries and sweets can be enjoyed at the café or from the take-away kiosk at Tang Plaza. Despite its recent expansion, Madam Peck continues to prepare everything from scratch, including the rempah (spice paste) in the Rempah Udang ($2), as well as the velvety pumpkin layer in the Kueh Salat Pumpkin ($2.20 for two pieces). She even crushes the almonds in her Sugee Cake ($4 for two pieces)! Don’t forget to stock up on the Soon Kueh ($3) or an incredibly fragrant Nyonya Yam Cake ($2.60) for breakfast. Keith Su looks like any other millennial – except he isn’t. So enamoured by his ah mah’s ang ku kueh, the young chap decided to launch Ahmazing, which sells a small repertoire of Nyonya kueh straight from his home kitchen. He only takes orders via Instagram or email, which is limited to his availability. But, trust me, it’s worth waiting for. 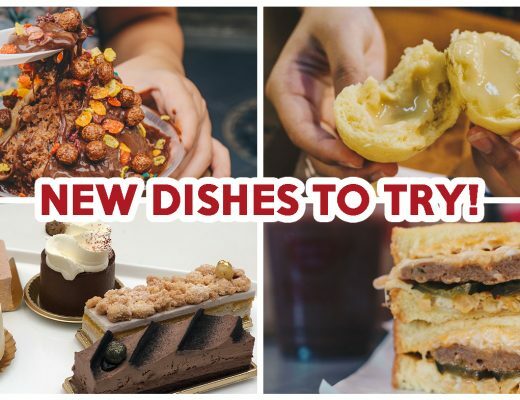 Favourites include his signature Ang Ku Kueh ($40 for 30 pieces), the Kueh Bingka Ubi ($30 for a seven-inch square cake) and the fluffy Huat Kueh ($15 for six pieces), which comes in gula Melaka or pandan flavoured. He also dabbles in new recipes, so expect to find interesting bites such as Durian Salat or an Osmanthus and Goji Berry ‘Moonkueh’ every now and then. Right next to the iconic Thian Hock Keng Temple in Telok Ayer is the eye-catching Chong Wen Ge Café. Its walls and tables are dressed in contrasting Peranakan tiles, making the ideal backdrop for their assorted kuehs. The usual suspects of Ang Ku Kueh, Kueh Dadar, Rempah Udang and Ondeh Ondeh can be enjoyed as individual pieces at $1.50. Alternatively, get an assortment of four at $5.50, or five with two drinks for $10.50. Muffins and cakes may be toothsome treats to have during tea-time, but we will always have a soft spot for nonya kueh. 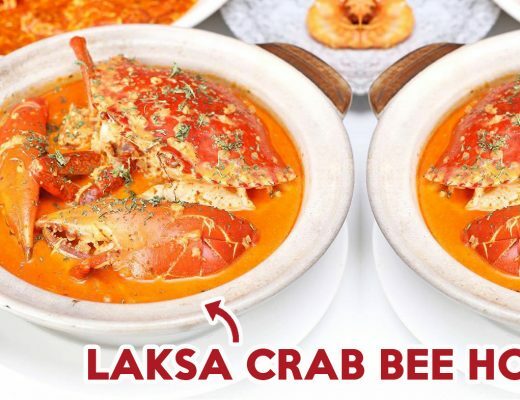 And these 10 spots serve up some of the best in Singapore!